New York City among the 10 cities most vulnerable to rising sea levels. New York City is approaching the danger zone for climate change. Some would say it has already arrived. The effects of climate change are irreversible. The OECD ranked New York City among the 10 cities most vulnerable to rising sea levels with 2.9 million people and $2.1 trillion in assets exposed to storm surges by 2070 if sea levels keep rising. The Intergovernmental Panel on Climate Change estimates they could rise by another meter or more by the end of this century. As global temperatures continue to rise, ice in the polar regions and glaciers will melt, dumping tons of extra water into the ocean. Warmer water will cause the oceans to expand. 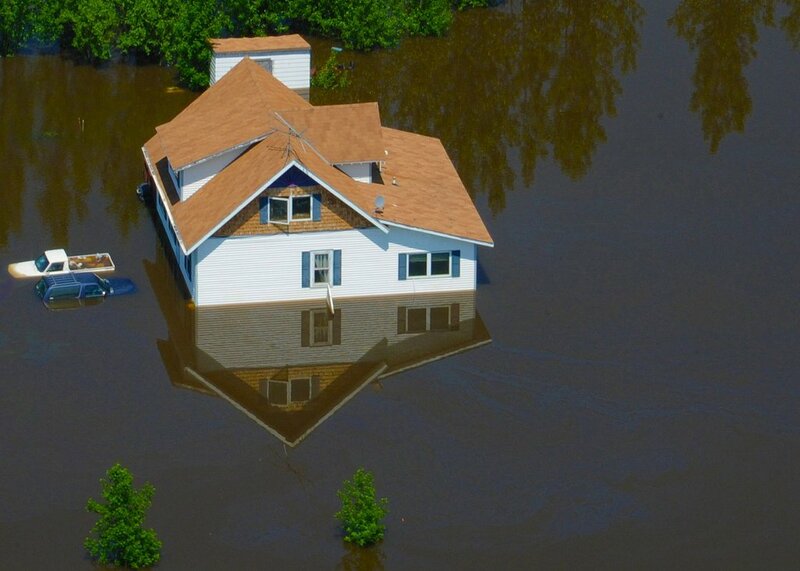 These factors will cause sea levels to increase and flood coastal areas all over the world. This is just one of the symptoms of a warming planet. Climate change will also cause a rise in rain and snowfall. Average annual precipitation will likely rise by between 4% and 11% by the 2050s and between 5% and 13% by 2080. By 2080, New York City could see 1.5 times as many days of extreme rain or snowfall. We won't just see an increase in average precipitation throughout the year. The number of severe storms will rise as well. Hurricane Sandy was our first warning. Sandy struck without mercy. Hurricane strength winds downed trees and electric lines. Water flooded streets, wiped away homes, and crippled subway lines. Thousands of New York City homes lost power. New York City lost $25 billion in business activity. 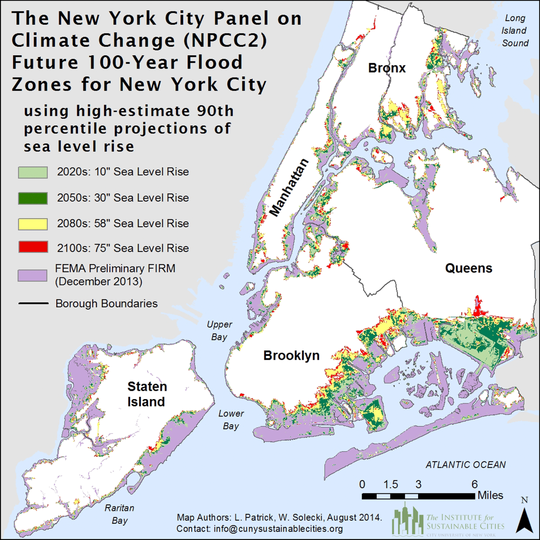 New York City is extremely vulnerable to sea level rise. Sea level in New York City could rise between 11 and 21 inches by 2050. By 2080, it could rise between 18 and 39 inches, and by the end of the century it could rise 75 inches, or six feet. Sea levels have been rising globally (Duh!). Sea levels would rise by 216 feet if all the land ice on the planet were to melt. This would dramatically reshape the continents and drown many of the world's major cities. A new report from the New York Academy of Sciences finds that by the end of this decade, New York City will be a warmer place to live than it is now. Average annual temperatures in New York City are expected to rise much faster in the coming decades than they have in the past. By the 2050s, average yearly temperatures will rise by between 4.1 and 5.7 degrees Fahrenheit. By the 2080s, we'll likely see an increase of between 5.3 and 8.8 degrees. By comparison, average temperatures for the region have only increased by 3.4 degrees since 1900. Heat waves in New York are also expected to triple by the 2080s.